Plans are underway to make some of the most iconic US shows ever for local broadcasters with international versions of 24, Breaking Bad, ER, Glee and Gossip Girl planned in countries as far afield as Israel and China. Shows including Prison Break, Law & Order and Desperate Housewives have already had the remake treatment and there is a notable uptick in demand for scripted formats. The Studios are also increasingly making inroads into the unscripted formats world once the preserve of indie producers in the UK and the Netherlands, and these producers are themselves now targets for the Hollywood giants as they bulk up their production capabilities by acquiring content houses in international territories. The £99 million acquisition of Shed in 2010 and £114 million deal for 2waytraffic in 2008 transformed the format capabilities of Warner Bros and Sony Pictures Television at a stroke with Shed and Who Do You Think You Are?, Supernanny and It’s Me or the Dog and 2waytraffic with Who Wants to be a Millionaire? Key titles and talent became part of the Studios’ set ups and the process has continued. SPT now comprises Floresta (Brazil), Teleset (Colombia), Starling (France), Toro (Spain), Tuvalu (Netherlands), Gogglebox (UK), Lean-M (Russia), Victory (UK), Silver River (UK), Huaso (Hong Kong) and Left Bank (UK), on which it spent £40 million earlier this year. Warner Bros.-owned Shed in turn owns producers Wall to Wall, Ricochet, Renegade, Watershed, TwentyTwenty, Yalli Productions and also has Scottish and US divisions and sales house Outright, now part of the Warner Bros. sales machine. Last September, Warner Bros. also acquired BlazHoffski, which in turns owns Dahl TV. NBC has also been active, buying or establishing production divisions Monkey Kingdom, Chocolate Media, Lucky Giant, WTTV, a joint venture with Working Title, and Downton Abbey producer Carnival. Outside the UK, it has bought into Australia’s Matchbox Pictures. The largest deal is, however, probably yet to be done. Warner Bros. has so far been thwarted in its attempts to buy Endemol. No-one from either company will comment, but well-placed sources say the deal, which would be for over £1 billion, remains firmly on the Studio’s agenda. Moves for other production companies are unlikely while the situation plays out. Having been at BBC Worldwide and All3Media, Wayne Garvie was announced as chief creative officer at SPT in May. He oversees all of the SPT production division’s content with a remit to turn local shows into international hits. The connections may be loose and executives maintain there is an arm’s length relationship, but a line can often be drawn between channels that are owned by the studio groups and their production divisions. NorthSouth Production’s Impractical Jokers, which airs on TruTV in the US has been made by Shed’s Yalli Productions for BBC Three in the UK and Blazhoffski has made a Belgian version for VMMa and Dutch version for Veronica. TruTV is run by Turner, in turn part of Warner Bros.
Disney meanwhile is focused on scripted formats hailing from its ABC Studios division in the US. 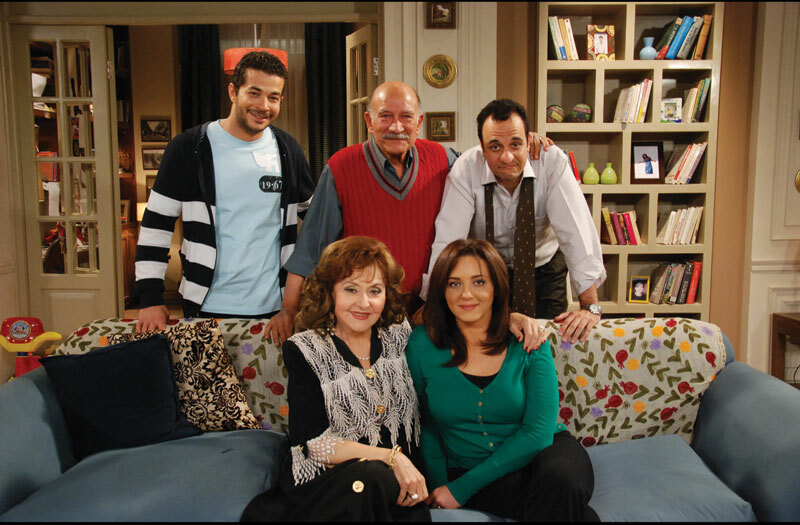 It has enjoyed particular success in Turkey where a local Medyapim and Disney-produced version of Private Practice (Merheba Hayat) has just started airing on Fox’s free-to-air channel. The show’s forbear, Grey’s Anatomy, has also been remade for Fox. Unscripted is not a big play for Disney although it does have ABC Studios and in-house reality formats including The Amazing Race, Duets and What Would You Do? Warner Bros. International Television Production’s key unscripted titles for MIPCOM included Blazhoffski’s Tower C, which is already popular in Holland and has been ordered by Canal+ in France. Rihanna exec-produced series Styled to Rock and extreme musical chairs show Oh Sit! are also focuses as is Let’s ask America, from Warner Bros.’ Telepictures division in the US, which is making 170 episodes for Scripps. Andrew Zein joined Warner Bros. two and half years as senior VP, creative, format development and sales. Prior to the former Tiger Aspect (part of Endemol) boss joining, the Studio had done a few format deals with The Bachelor, for example, in a handful of territories. Coordinating the flow of IP and new ideas across a group is a challenge for all of the Studios that have acquired production companies. Wayne Garvie says producers like to become part of a Studio to take what they are doing to a new level. “People like to feel part of something bigger,” he says. “If they want to sell their content to the US for example, we can do that. I see a lot of companies get quite successful, but find it difficult to break through into new territories without damaging their business. As well as acquiring production companies the Studios have a range of first-look and development deals. Sony has just inked a deal with Israel’s Shy Barmeli, creator of one of SPT’s big new formats, Raid the Cage. It also has a first-look deal with Mexican broadcaster Televisa. NBC has a deal with Lark, which makes Real Housewives of Vancouver for Slice (and Global) in Canada. It has sold that format into Greece and Israel with a French version about to start and discussions underway for adaptations in other key territories. Warner Bros. has first-look deals with UK indie Outline and its Irish counterpart Vision Independent Productions. It also has an agreement with TV Asahi, whereby it develops the Japanese broadcaster’s formats for the international market. The insular Japanese market is known for creating long-running formats, but not acquiring them from the international markets, and Warner Bros will make eight pilots based on Asahi IP. It has worked up Asahi’s Everything’s a Race and is making a full pilot of another as-yet-unnamed Asahi quiz show. Certain territories and broadcasters are clearly more receptive to formatted programming. Australia, the Benelux and Scandinavia are early adopters of formats while others, such as those in Eastern Europe, will want to see proof of success elsewhere before committing. The Chinese market is beset by ever-changing regulation, but is opening up to formats. In scripted, Fox is in discussions for a local version of Ryan Murphy’s Glee and Warner Bros. has teamed with Metan for a Chinese version of Gossip Girl, which is being made by H&R Century TV and is in pre-production. Take up of unscripted formats is quicker than scripted as they can be ordered and produced quickly and do not have to have been on air for a long time in one territory to work in another. Scripted formats are generally long-running franchises and buyers want the comfort of a lot of scripts that they can adapt. The cumulative returns of scripted formats deals today, meanwhile, are modest compared with those for the Studio’s finished programming and they are wary of cannibalising sales of a finished show, which explains why this season’s new shows have no chance of being remade locally for several years. The Studios also have a matrix of output deals with major broadcasters, but are at liberty to talk to other channels about format deals. “If something is a huge hit in a territory we would discuss it with the original broadcaster first, but if another broadcaster wanted to make a library show, say The Wonder Years, that would be ok,” Cohen says. The Wonder Years is a focus for Fox with a version about to go out in Colombia. Cohen says he could see versions in the UK, Germany and Scandi territories and that it will be remade in at least one Asian territory. Another comedy, How I Met Your Mother has been remade in Russia and My Name is Earl has been made in Greece. Fox’s Modern Family is now being made in Israel, the Fox executive confirms. If the timing is right, the dynamics of the scripted format business mean it can be lucrative. Timing will differ depending on territory and in those where US programming has been pushed to the margins of schedules in favor of local content, the Studios will be keener to move ahead with a scripted format. The developing TV markets that used to rely on US content are increasingly investing in local production, so a scripted format could be a route back into primetime. “On networks in the US and around the world you see that local production is the big ratings winner so we’d be foolish not to be in that business,” Cohen says. Like Disney, Fox is focused on distributing scripted content from its US Studio while its unscripted fare largely resides with Shine, which News Corp acquired for £415 million last year. 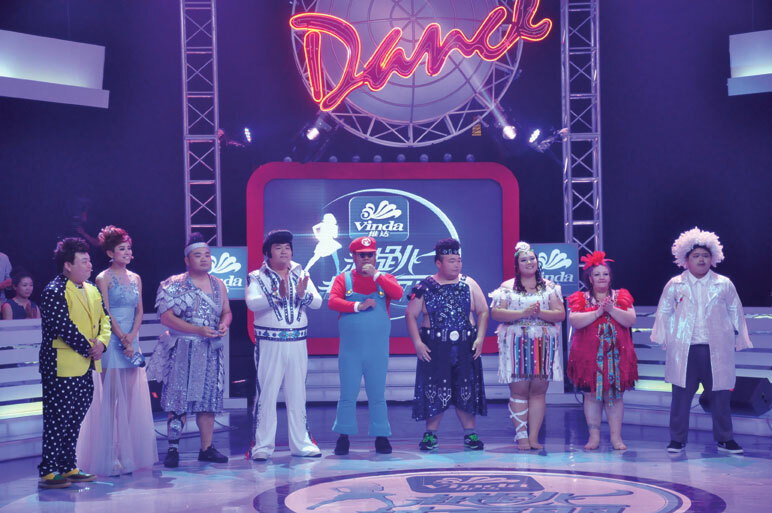 Comedy formats travel well, in part because the same is not true of taped shows in the genre, which often needs a local flavour to resonate with viewers. Remaking the big-ticket dramas is a bigger, more expensive undertaking. Some are, however, in the works. Talks are underway for Indian version of 24, with Bollywood megastar Anil Kapoor in the Jack Bauer role (he had a cameo in the last season of the US series), and NBC says there is great interest in Monk and Psych in Russia and Turkey. SPT reports interest in its drama series The Big C and is set to announce deals for edgy cable series Breaking Bad. In the US cable net AMC has just finished showing the first part of the final, fifth, season of the gritty drama series, which SPT produces and distributes. Lerner says Sony is also talking to CTC about a local version of Rules of Engagement. The Russian free-to-air broadcaster has already aired several versions of Sony formats including Married With Children and King of Queens and discussions are underway about a local version of the sitcom, which still airs on the CBS network in the US. Cultural sensitivities mean that not all formats will work in all territories. Where there are prickly editorial challenges, the Studios claim that they would rather not make the show than make something that damages the franchise. The Studios’ dominance of the international TV world can only increase as they take a greater share of the unscripted market and remake their hit dramas in markets around the world. If any of this year’s network shows manages to stay on air they will be ready for a remake in a few years and there is an ever greater chance that the reality or drama series playing in primetime do not hail from a super-indie, but from a Hollywood Studio or one of its many international divisions.